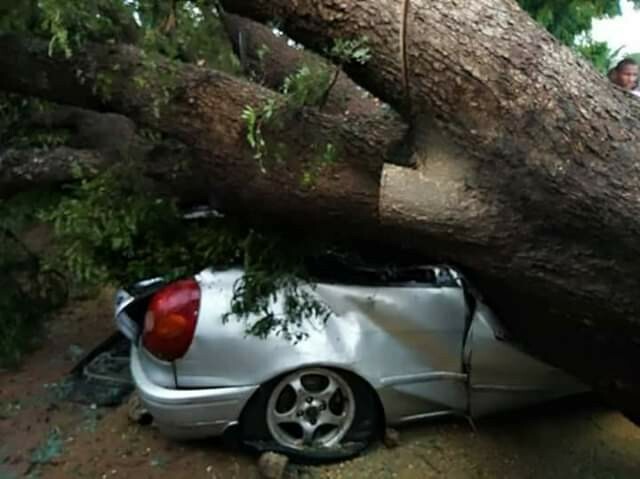 A young man has lost his promising life after a huge tree fell on a car he was in during a heavy windstorm in Ganye Local Government Area of Adamawa State. 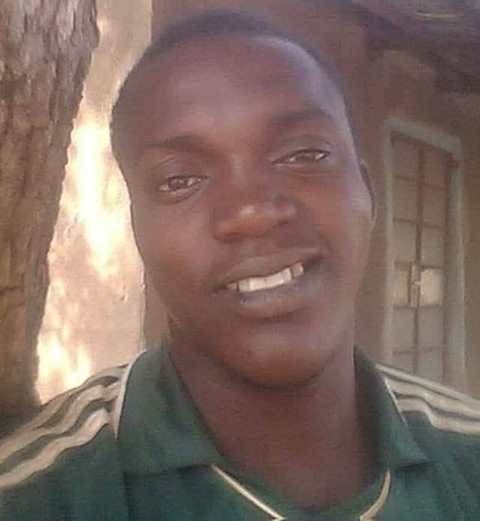 A Facebook user identified as Comrade Kabiru Njidda, a facilitator at Nigeria RedCross Society, has taken to the social networking platform to share the story of how a popular mechanic, Emeka Nonso was killed during last Friday's wind storm. 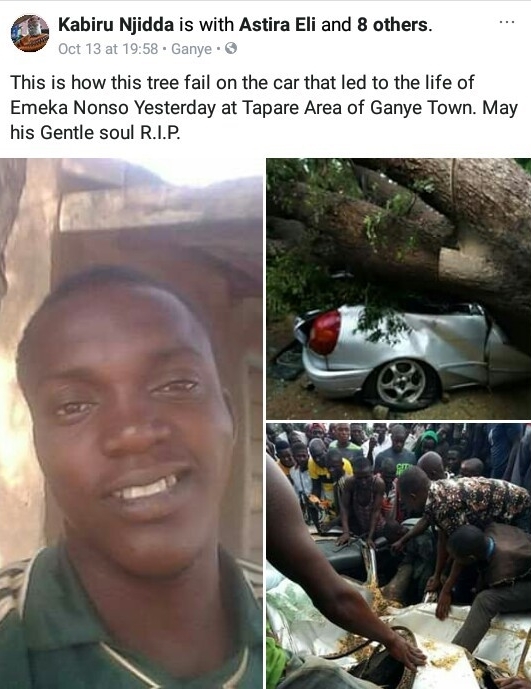 It was gathered that the deceased was killed when a huge tree fell on a car at Tapare area of Ganye town in Ganye Local Government Area of Adamawa State. The deceased had taken shelter inside the car parked at his garage during the windstorm, but unfortunately the storm uprooted the tree and it fell on the vehicle. 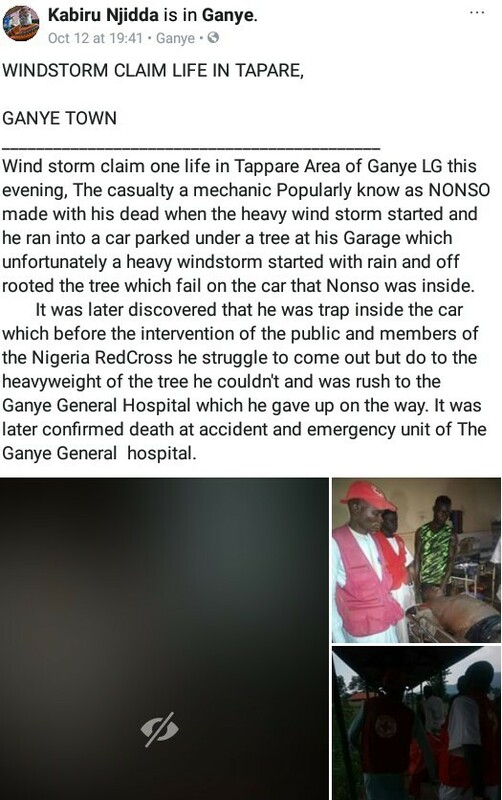 Kabiru shared photos of the incident and wrote: "Wind storm claim one life in Tappare Area of Ganye LG this evening, The casualty a mechanic Popularly know as NONSO made with his dead when the heavy wind storm started and he ran into a car parked under a tree at his Garage which unfortunately a heavy windstorm started with rain and off rooted the tree which fail on the car that Nonso was inside. "It was later discovered that he was trap inside the car which before the intervention of the public and members of the Nigeria RedCross he struggle to come out but do to the heavyweight of the tree he couldn't and was rush to the Ganye General Hospital which he gave up on the way. 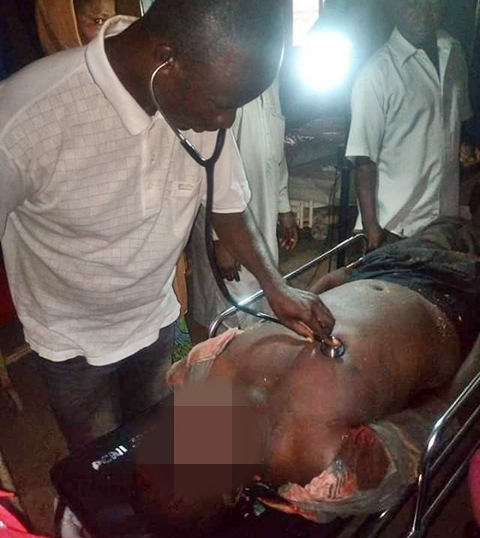 It was later confirmed death at accident and emergency unit of The Ganye General hospital."